Students play as a team to practice matching suffixes to their meanings. 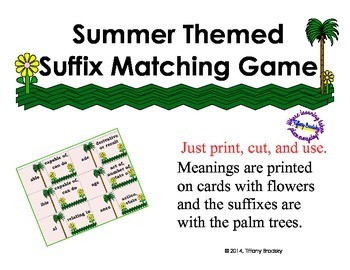 Included are 21 suffixes for students to match and practice identifying the meanings of each. 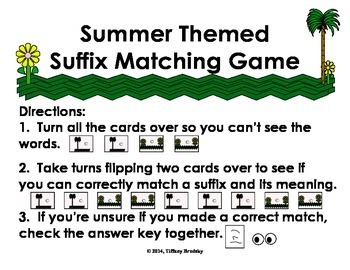 This is a terrific cooperative game and an answer key is included for students to check their work!